Whether it's someone's birthday, anniversary, wedding, or simply good weather for a barbecue, there's always a good excuse to throw a party. With spring on its way, our weekends are quickly getting booked up with all kinds of these events. The only dilemma is: what are you supposed to bring to each one of these occasions? Don't worry — we've got you covered. If you're not in the mood to spend too much time in the kitchen, here are 4 simple recipe ideas that'll have guests coming back for more! 1. 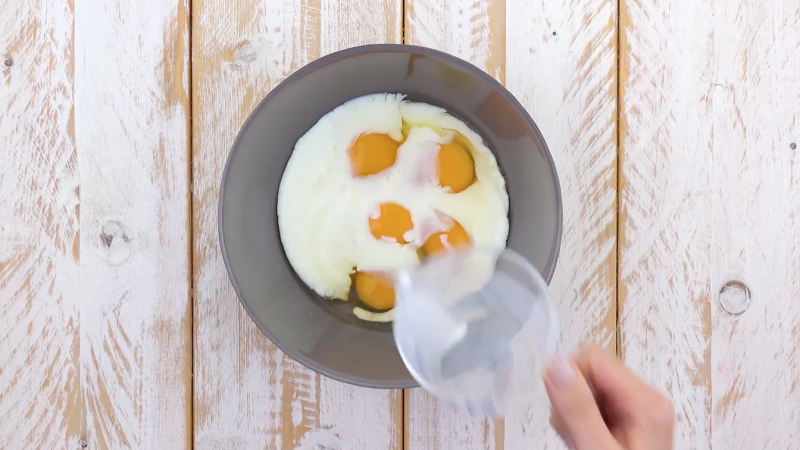 Mix the eggs and milk in a large bowl. Split the hot dog buns into three and dunk them in the mixture. 2. 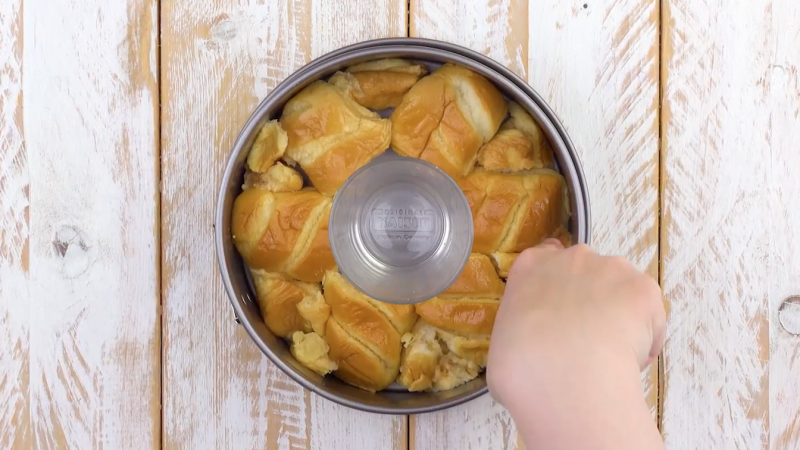 Place a glass in the center of a cake springform pan and fill the space around it with hot dog buns. 3.1. 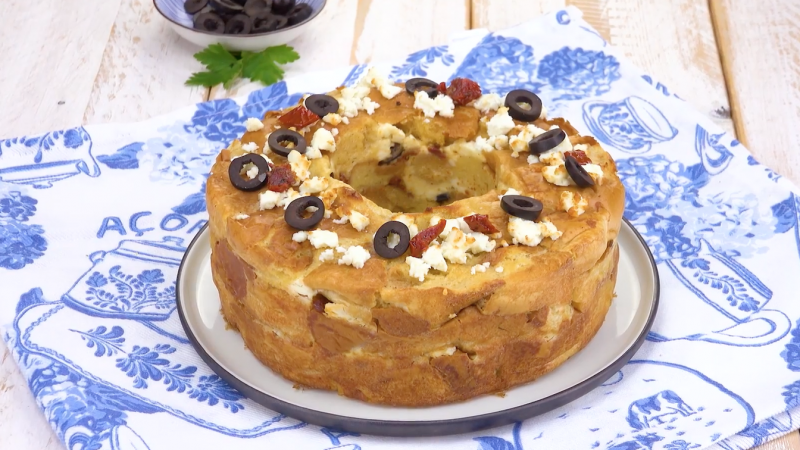 For version 1, sprinkle a third of the feta, tomatoes, and olives on the buns. Layer the party bread as follows: buns, filling, buns, filling. Add some stability to the layers by pressing them down with the back of a tablespoon. Bake the bread in a convection oven set to 320°F for 35 minutes. 3.2. For version 2, sprinkle half of the ground beef and jalapeños onto the buns, but only use a third of the cheese. Continue by adding another layer of buns, filling and then the rest of the buns. Sprinkle on the rest of the cheese for the last layer. Bake the bread in a convection oven set to 320°F for 35 minutes. 1. 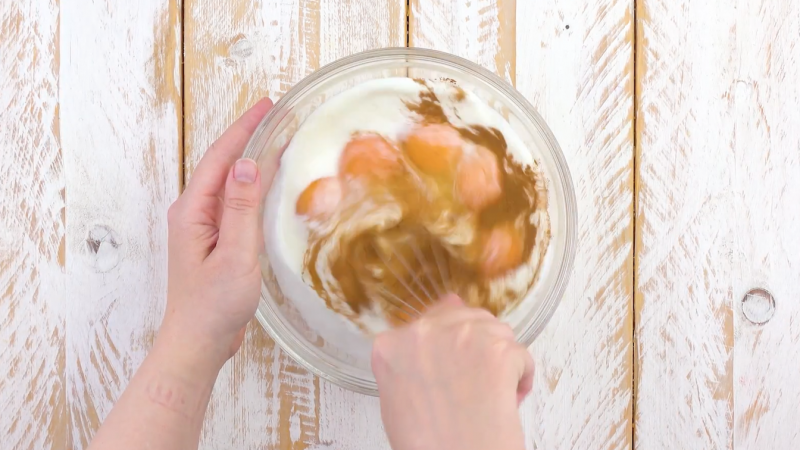 Mix the eggs, milk, cinnamon, and sugar in a large bowl. Cut the soft bread rolls in half and dunk them in the mixture. 2. 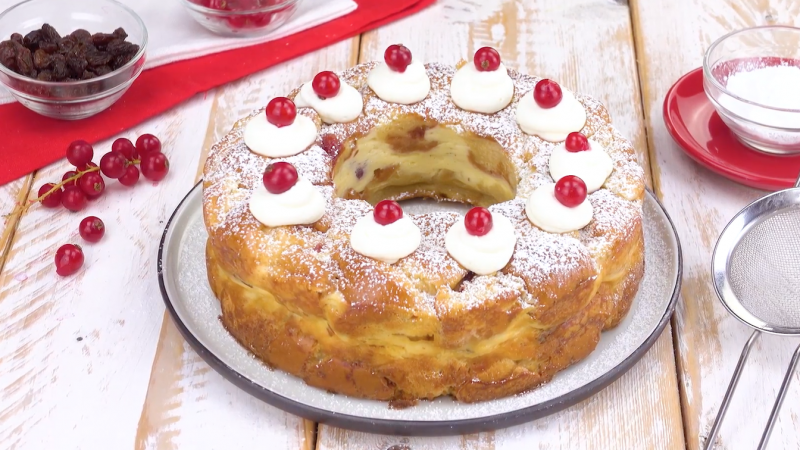 Again, place a glass in the center of a cake springform pan and surround it with half of the the rolls. 3.1. For version 1, first spread cream cheese onto the rolls before adding the cranberry jelly. Sprinkle on the raisins and cover the filling with the rest of the soft rolls. Bake the bread in a convection oven set to 320°F for 35 minutes. Add some dollops of cream and sift icing sugar over everything before serving. 3.2. For version 2, spread vanilla pudding onto the rolls. 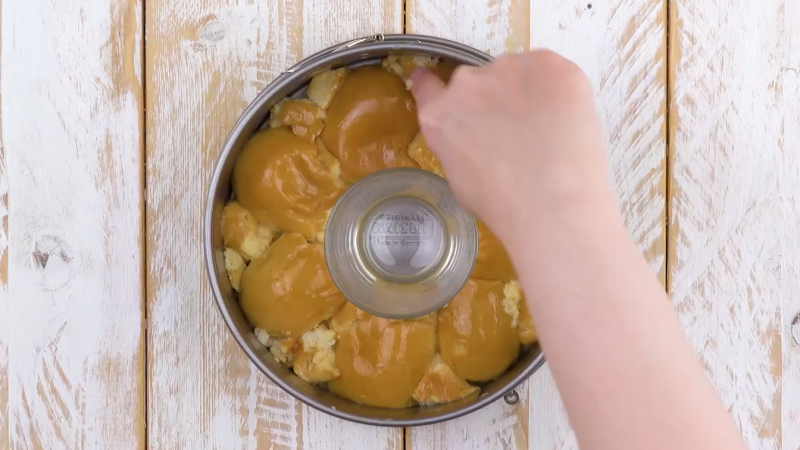 Add the diced apple and caramel before covering the filling with the rest of the soft rolls. Next, bake the party bread in a convection oven set to 320°F for 35 minutes. 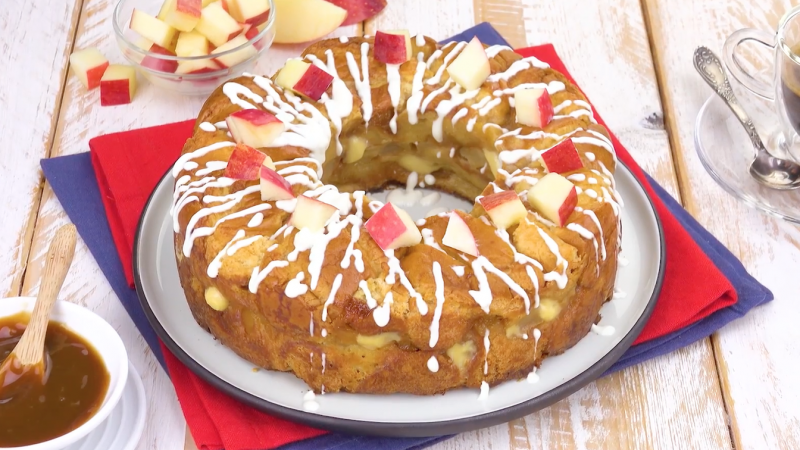 Decorate the bread with some frosting and any remaining diced apple for the finishing touch. 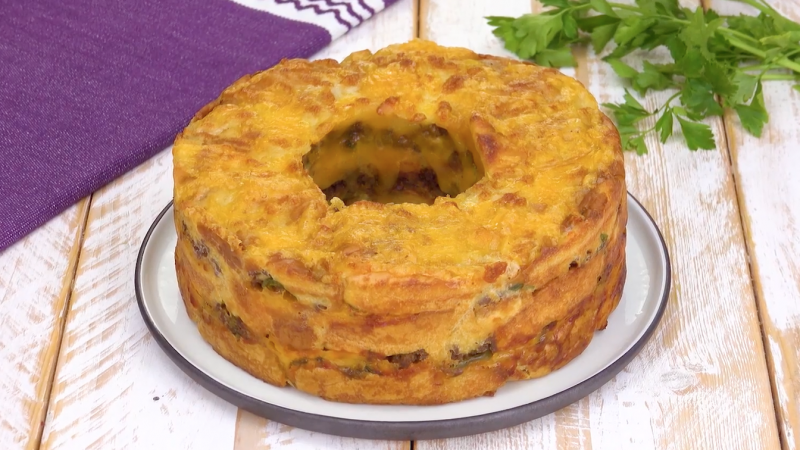 Quick and easy to make, there's plenty to go round for all your friends and family. Do you need any more reasons to try these delicious party bread recipes?